For VCU student Adam Lockett, the VCU-GRTC partnership represents an important opportunity for the University to give back to both its students and employees, and to the city itself. The future of access to Richmond’s bus system is in jeopardy. This month, the Greater Richmond Transit Company (GRTC) and VCU will decide whether or not to continue a successful partnership which affords VCU students and employees unlimited access to all GRTC routes at no cost. Although the benefits of this partnership far outweigh the costs, details about the beginnings of talks to greatly reduce this service if additional money is not appropriated to GRTC by VCU were recently made public. Ridership data tells us that the partnership is doing overwhelmingly better than projected: VCU riders make about 82,000 trips per month, making up about 12% of GRTC’s ridership overall. At a price tag of $1.2 million, the VCU community is riding the buses more frequently than the university’s contributions cover in fares. What is at stake in current talks is negotiating a new deal where the University continues to cover costs. Otherwise their support will only afford rides along two routes, instead of all 40 within the network. Limiting access to the VCU community will come down to two generally East to West routes: Route 5 and the Pulse. Route 5 serves Cary and Main streets from Carytown, through VCU, into downtown, and to the Whitcomb neighborhood. The Pulse runs along Broad and Main Streets from Willow Lawn to Rocketts Landing. Most notably, restricting VCU’s free student and employee use to these two lines will cut off access to bus routes running North to South in the city. An employee who lives in Forest Hill, Southside, Manchester, or Northside — who has been able to rely on this service — may have the benefit of a no-cost ride to work suddenly stripped from them. This is not the first time that VCU has gone to bat with GRTC to make a deal. In 2012, the University contracted GRTC to run the Campus Connector route, between Monroe Park and MCV campuses, at a cost of $1.7 million. That year, they opted to switch to a private third-party operator, to drive their VCU branded buses between the campuses for an annual cost of $1.82 million. Both of these amounts of money exceed the $1.2 million the University agreed upon in the summer of 2018 to fund the current partnership with GRTC, the benefits of which cover a wider student and employment body than existed six years ago. If you give people access to transit, they will use it. Canceling the full partnership is not the only detriment to transit that VCU may be responsible for. The school is looking to reduce comprehensive transportation by discontinuing the Campus Connector service as well. They are now in talks with City Council to grant permission to fund a detour for the Route 5 onto Broad and 11th Streets, in order to replace the service with an existing GRTC line — one that would remain free for VCU students and employees, even under the reduced support currently being discussed. Altering this route would place interest in the university over the needs of those who rely on this frequent route daily. The proposed quarter-mile detour will be costly and slow down the bus. Canceling the third-party operation is not necessarily a bad thing — it’s probably long overdue. However, canceling the third-party operation at the same time that the scope of the partnership with GRTC is being reduced would result in disastrous consequences for VCU students and employees who rely on the current bus system. This change would severely limit those who travel between the two campuses, whether they are coming from work, class, or home. A much better option is to use the savings from ending the third-party Campus Connector program to sustain the full GRTC partnership for the entire city bus network. 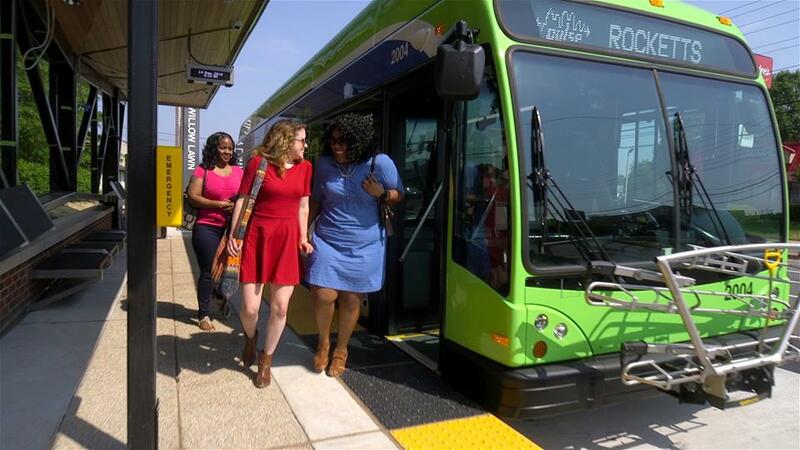 After all, GRTC is more than a replacement for the Campus Connector bus; it is a gateway to the full spectrum of what Richmond has to offer, far beyond Monroe Park and MCV. Back in October 2018, VCU’s Office of Parking and Transportation was proud to report on Facebook that “More than 40 [VCU] parking subscribers have already turned in their permits to use [GRTC] instead.” But would this sort of thing continue if access to most GRTC routes were discontinued? Not every student and employee lives in The Fan or along Broad Street, and can take advantage of just two bus routes in order to ditch their cars at home. Cutting access may bring those parking subscribers right back, congesting the streets and fail to fulfill a key goal of the “One VCU Master Plan” to reduce greenhouse gas emissions. No matter how you slice it, the VCU partnership with GRTC is worth it. Not just for the students and employees, but for all GRTC riders. Even those unaffiliated with VCU benefit from the University’s participation; the extra operating funds paid in by VCU improve the bus service for everyone. As the most prominent public institution and the largest employer in the city, VCU must continue funding full access to the GRTC bus network. It is an investment in their students and employees, as well as in education, arts, culture, and civic engagement — indeed, in our city itself. VCU relies on talent and infrastructure from Richmond City; it should actively participate in making the city better. 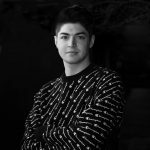 Adam Lockett is a sophomore at VCU and serves as a member of the Transit Advisory Group.